Discover the world’s most advanced commercial coffee machine for workplace. 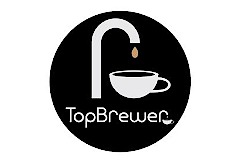 TopBrewer offers a wide selection of premium hot & cold beverages from a single app-controlled tap. The award-winning, minimal design is a natural anchor point in breakout spaces and offices to encourage collaboration & promote wellbeing.